Land use-land cover (LULC) change from urbanization, deforestation and agricultural development can lead to several negative impacts on a watershed such as increased flood risk and degradation of aquatic ecosystems. This study explores the impact of LULC change on three commonly assessed water quality constituents: total nitrogen (TN), total phosphorous (TP) and total suspended solids (TSS) as well as streamflow (Q), in watersheds in and around the Shenandoah National Park in north central Virginia by coupling a dynamically distributed LULC projection model and the Chesapeake Bay Watershed model (CBWM) Phase 5.3.2. The study area includes portions of the James, Potomac, Rappahannock and York River watersheds. A 50-yr period (2011-2061) covering six decadal time slices was examined. An analysis based on the projected recent trends in land use conversion continuing over the next 50 years indicates that significant increases in TN (41.9%), TP (177.3%), TSS (89.2%) and Q (8.2%) will occur by 2061. Forthcoming correlation analyses will examine the relationships and drivers between projected LULC change and pollutant yield and stream flow. A jurisdiction-based analysis will also be performed with the objective of providing LULC planning guidance to city and county administrators to improve watershed management decisions considering nonstationarity induced by alternative LULC change scenarios. Ebrahim Ahmadisharaf is currently a postdoctoral associate in the Department of Biological System Engineering at Virginia Tech. He earned his doctoral degree from the Civil and Environmental Engineering Department at Tennessee Technological University and both of his bachelors and masters from the Civil Engineering Department at Sharif University of Technology, Iran. He has done extensive research in the areas of flood management, dam break, stormwater management, watershed modeling and uncertain analysis, which resulted in several peer-reviewed publications. Ebrahim has conducted peer-reviews for many prestigious journals. He is also a member of the ASCE/EWRI TMDL Analysis and Modeling Task Committee. 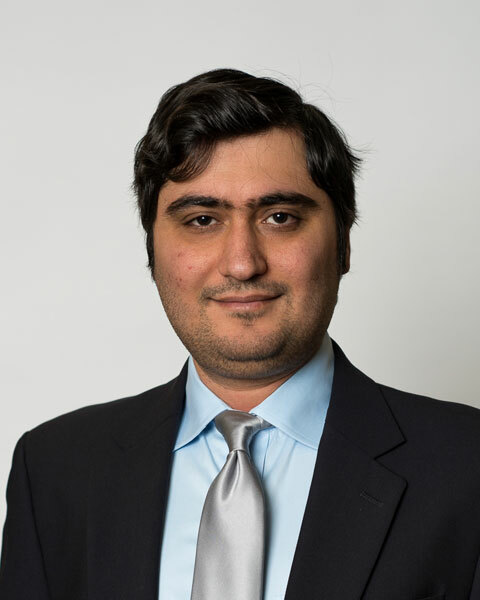 Bio: Ebrahim Ahmadisharaf is currently a postdoctoral associate in the Department of Biological System Engineering at Virginia Tech. He earned his doctoral degree from the Civil and Environmental Engineering Department at Tennessee Technological University and both of his bachelors and masters from the Civil Engineering Department at Sharif University of Technology, Iran. He has done extensive research in the areas of flood management, dam break, stormwater management, watershed modeling and uncertain analysis, which resulted in several peer-reviewed publications. Ebrahim has conducted peer-reviews for many prestigious journals. He is also a member of the ASCE/EWRI TMDL Analysis and Modeling Task Committee.